Restaurant “La Cambusa del Capitano”, Aci Castello – Sicily – A TAVOLA ! We flew from Paris to Catania with Easyjet ( east of Sicily ) which took us 2h30. We arrived late morning and the temperature was already around 22°C. Approximately 10 more then in Paris. So the trip was already worth it ! We had our hotel booked in the famous “Taormina” which is around an hour drive from Catania Airport. As we were quite hungry we decided to have our lunch on the seaside and picked a restaurant recommended by the Michelin guide ( a modest one not awarded anything special ) in the little harbor town of Aci castello. 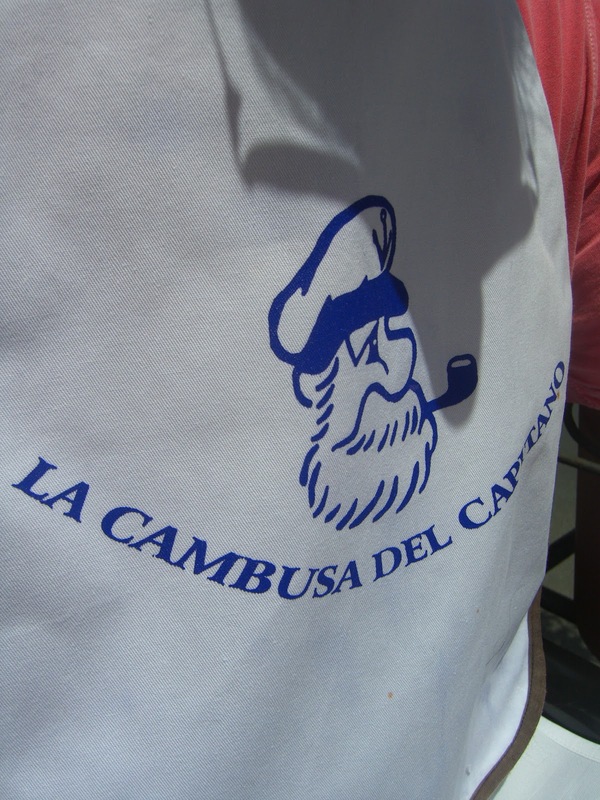 The place is called La cambusa del Capitano and is ran by Chef Alfio. As very often in Italy, the owner and the staff came to our table quite quickly to get to know eachother, talk about their beloved island and more importantly present us the fresh fish and sea food they had that day. Seduced by the freshness of the Calamaretti we’ve ordered a plate to share. They came fried and were absolutely succulent. “Ottimo” as you would say in italian. We were promised to a great time. 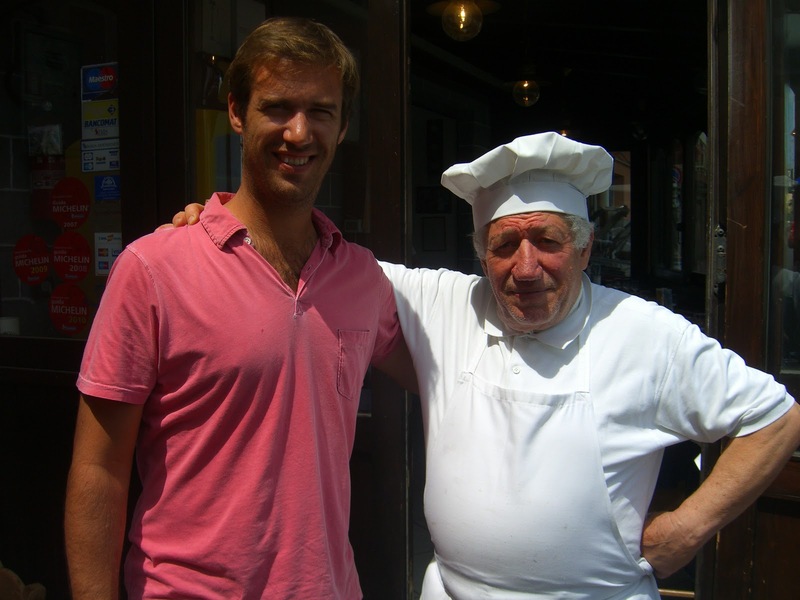 We then headed for the serious staff and the “primi piatti”. And naturally chose pasta. 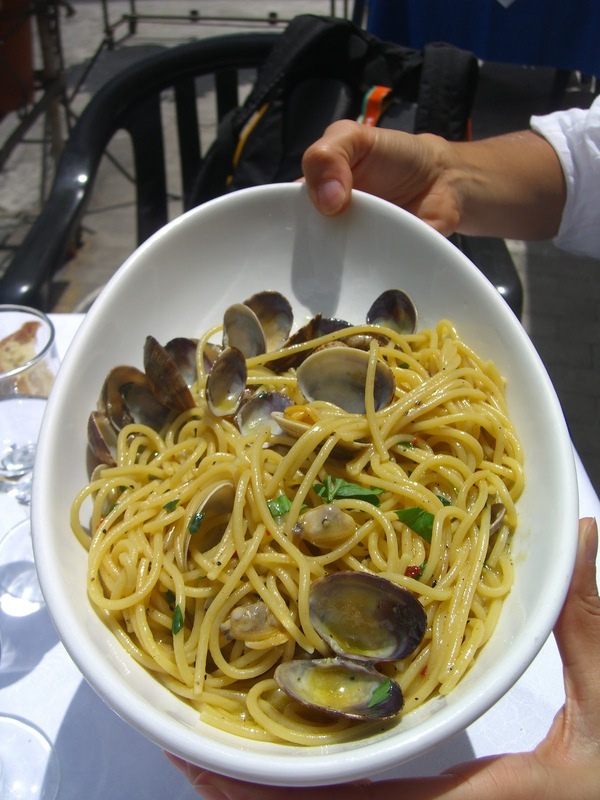 My wife had spaghetti alle vongole ( sea food ). I had the “Gamberi e cozze” ones. 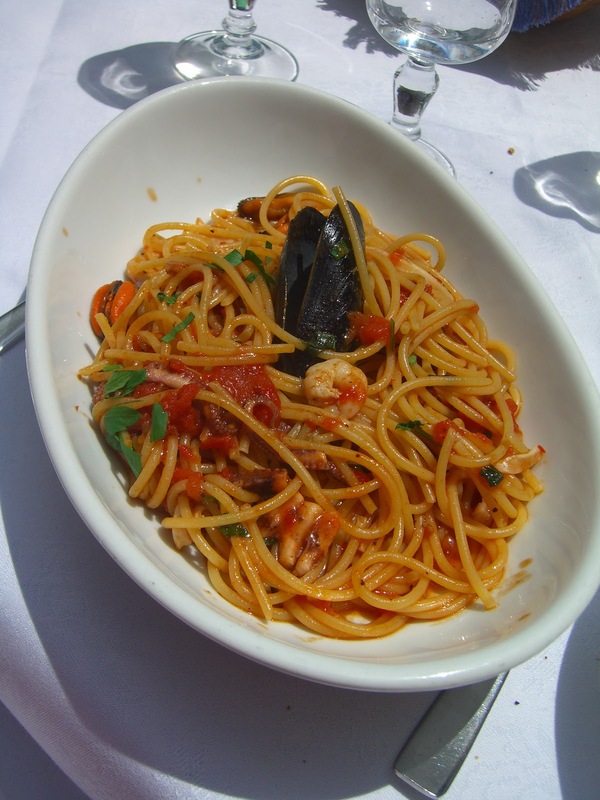 Those were simply the best cooked pasta we had during our sicilian stay. We finished the lunch with the classic Tiramisu. It was so good that it directly went into our stomach. So no picture to illustrate what we here pretend. 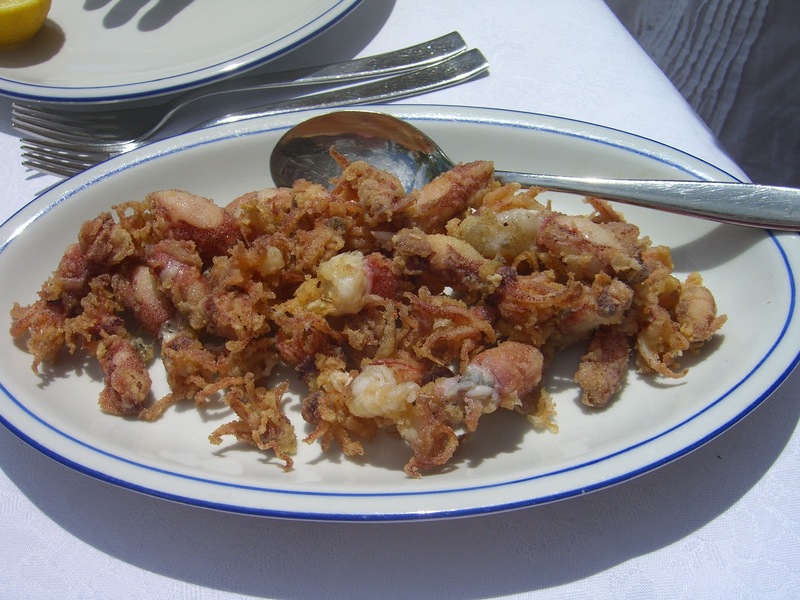 All in all an excellent first food experience in Sicily. All ingredients very fresh. Simply but perfectly cooked. Friendly chef. And quite cheap as we’ve spent all in all 25€/person with wine and coffee. La cambusal del capitano : Via marina 65 , Aci castello, Sicily. Closed on wednesday. When fruits have colors !